The last line we saw Carrie Fisher (albeit a CGI-reconstructed ever-youthful Carrie Fisher) deliver in a movie before she died was in Rogue One. Rogue One was the prequel to what is now known as Star Wars IV: A New Hope. Carrie’s line was the single word “Hope”. Pretty good legacy, I’d say. 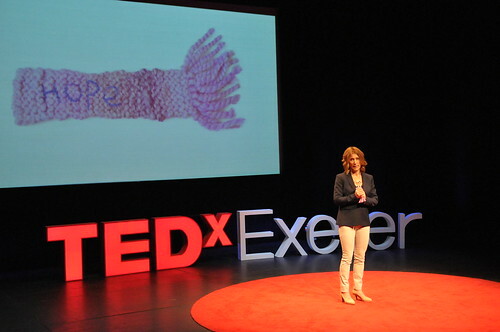 I recently opined that deep down we watch TED talks to know we’re not alone. 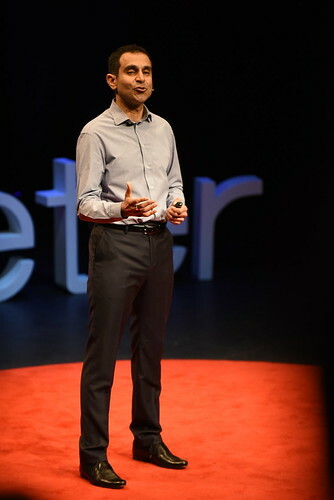 It subsequently struck me that because we can see the number of views, and comment and read other’s comments on each talk, we can be certain that we are not alone in watching TED talks. And that led me to reflecting on the speakers’ perspective. Now that so many statistics are collected on the number of times a talk is viewed and the related web pages are accessed, the speaker knows they are not alone too. There are dangers: that they compare themselves to others, or they feel under extreme pressure not to fail and let their viewers down, or they are Brené Brown. But I’m hoping that it would a great encouragement to them to keep on keeping on. So do keep watching, keep sharing, keep commenting (constructively! ), and keep encouraging each other. 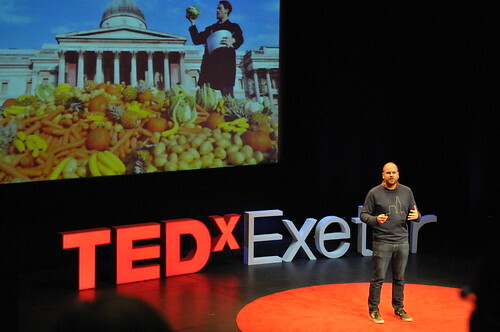 There are myriads of reasons why people watch TED and TEDx talks, and myriads of outcomes. Some might want to be entertained with interesting facts about the world, or music or humour, or to be challenged to think in new ways about the world. 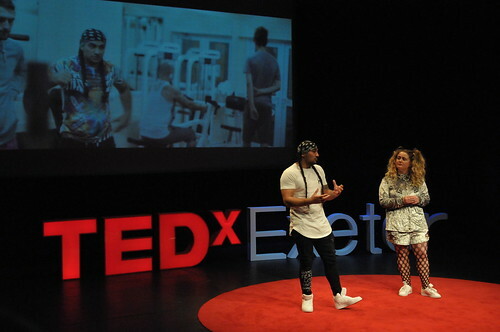 Others might want to find a campaign to support, and there are plenty of talks describing plenty of opportunities, not least the talks at TEDxExeter 2015 by Matthew Owen about Cool Earth and by Carmel McConnell about Magic Breakfast. Of course, it’s possible that it’s the talk which grabs the unsuspecting viewer by the scruff of the neck and makes them start the campaign. 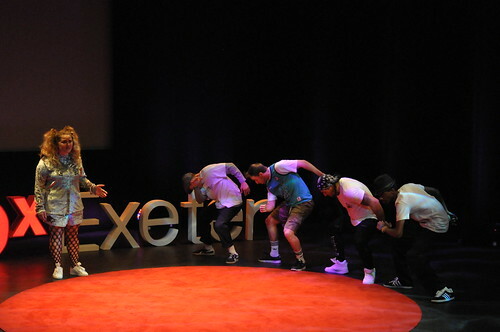 Bandi Mbubi’s talk at the first TEDxExeter inspired a group of people to coalesce around him and found Congo Calling. Yet others might be looking for new ways of doing things in the workplace. 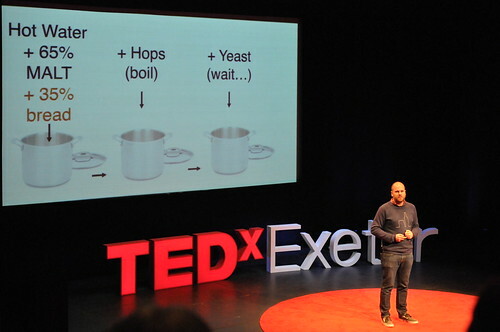 Alan Smith’s talk at TEDxExeter this year may well be inspiring many to use more data visualisation in the decision-making process. Others might be looking for new ways of being and seeking to change themselves, or seeking to affirm themselves, but they are challenged anyway. Scientists have found that “when we read a story and really understand it, we create a mental simulation of the events described by the story”. It is as though reading a novel or biography adds to our experience of the world, a safe way of trying things out. 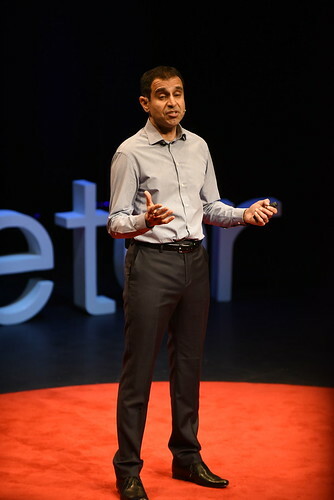 Perhaps watching TED talks also enables us to try on for size new approaches to working, living, viewing the world, or even new selves. 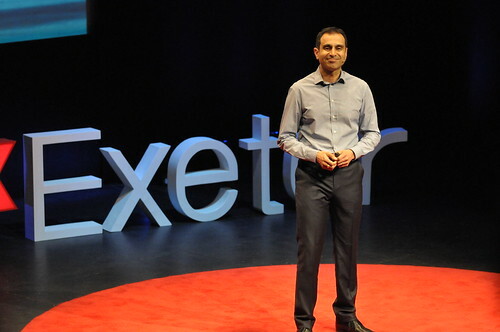 A talk like Manwar Ali’s on Jihad, also at TEDxExeter 2016, holds up a mirror to the choices we all face between light and dark, our potential for violence and for peace. 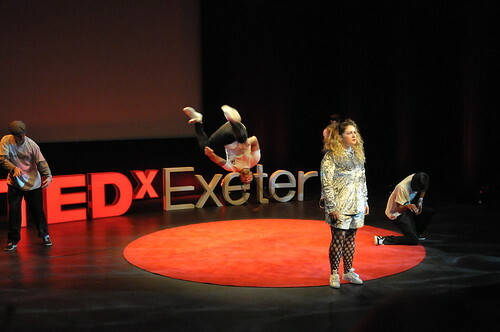 Going off the TEDxExeter piste now, Brené Brown’s talk takes us through the experience of allowing our self to be vulnerable and life to be uncertain. 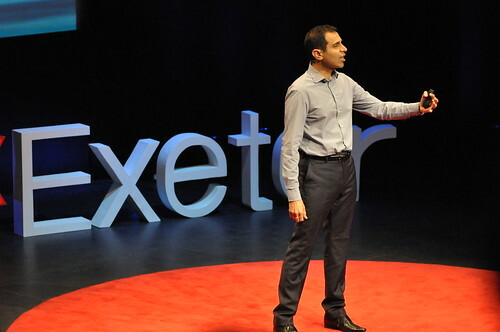 Susan Cain asks us to empathise with introverts, recognise their strengths, and maybe gives some the lightbulb moment of realisation that that is who they are. CS Lewis wrote of “the few” and “the many” readers. “The few” are those who seek out space to read, who must read, who often re-read books, and who are open to being deeply changed by what they read. “The many” read when there is nothing else claiming their attention, do not re-read, and show no sign of being changed by what they read. 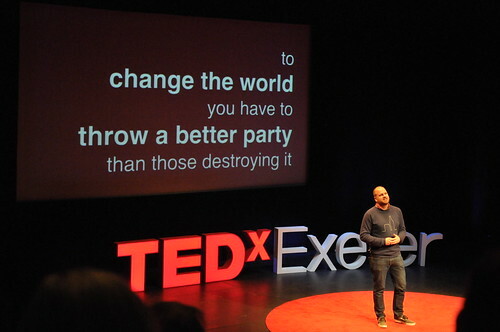 I would like to coin “the TED few”, who would be those who make space for new ideas, who often re-watch talks, and who are open to being deeply changed by what they see and hear. Much of my reading is by people who have similar interests: who have or are seeking a sense of place; who are living and working prophetically; who have experienced the struggles and sometimes the successes. Recent examples include Spiritual Activism by Alastair McIntosh and Matt Carmichael, and Daybook, the Journey of an Artist by Anne Truitt. I am not reading in order to follow their example or recreate what they are doing, but because through their stories I learn that I am not particularly special or different, that others have similar goals to mine, and that they doubt and lack confidence and have struggles too. And that somehow gives me hope and the energy to persevere a while longer. In a similar vein, my prime motivation for watching TED talks is to find other people who are risking and creating and doing great stuff. 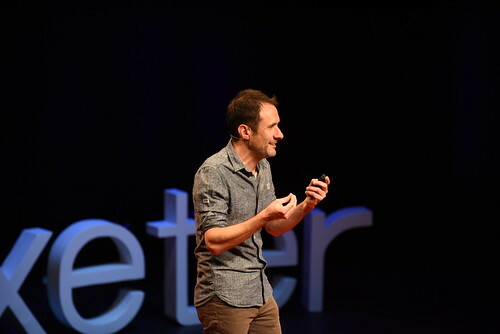 So I tend to gravitate to the talks on creativity and art, like Peter Randall-Page’s talk at TEDxExeter 2015, and two of my favourites by Janet Echelman and Stefan Sagmeister. It means I am often tempted towards envy, and thinking that I wish I could do or had done that. I need to remember that I won’t do the same thing, but I will do some thing, and I should focus on and celebrate that thing. 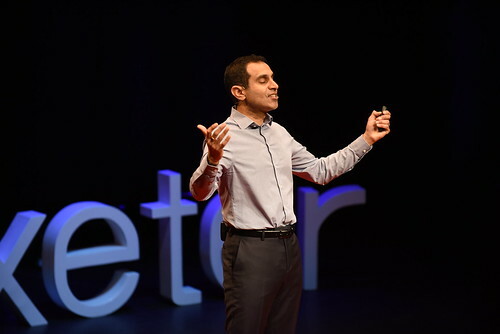 What I am seeking from TED talks are stories of people who are blazing trails of possibility, and effectively giving me permission to do my own risking and creating and (hopefully great) stuff. The film Shadowlands gave CS Lewis the phrase: “we read to know we are not alone”. I think it’s true. 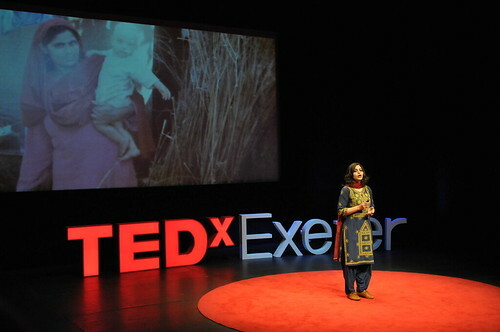 I also think that deep down we watch TED talks to know we are not alone. 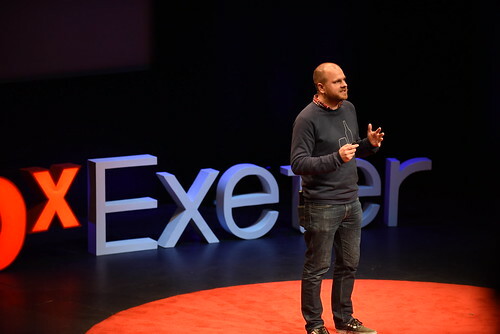 TEDxExeter speaker Giles Duley has won an International Photography Award with his portraits of Syrian refugees living in the Bekaa Valley, Lebanon. He was awarded first prize in the category people, portraits. Third in the same category was Bert Hartman, for his portraits of TED Fellows during the 2016 TED conference in Vancouver, Canada. 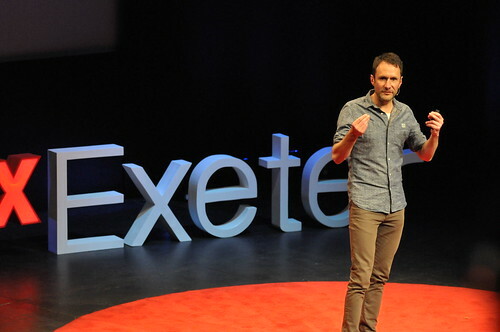 Giles spoke at this year’s TEDxExeter conference in April. 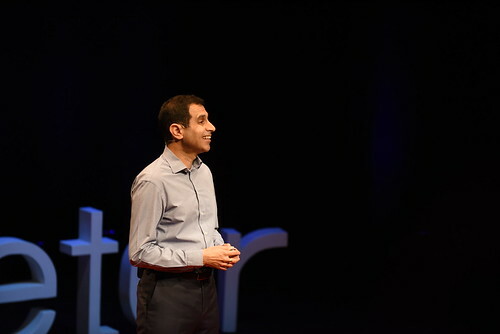 In his talk, The Power of a Story he focuses his lens on the stories of some of the refugees fleeing conflict in Syria. 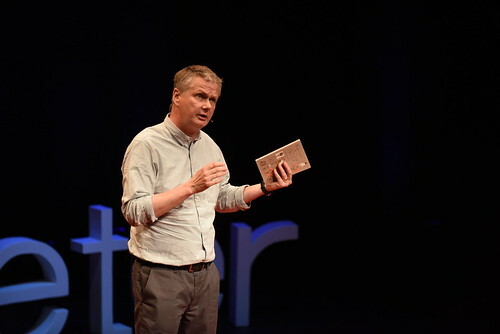 Giles Duley is an award winning humanitarian photographer who, through his work with UNHCR, focuses his lens on their lives and tells their stories. He is himself casualty of war who almost died and lost both legs and an arm in an improvised explosive device explosion in Afghanistan. His lasting wounds allow him to connect with the people he captures on film and to tell the stories of those without a voice. 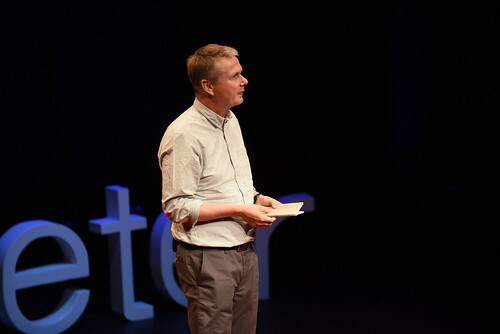 In this powerful and moving call to action, Giles reminds us that we are at a defining moment and calls on us to do all we can to make a difference to the lives of refugees, now. Watch the video now.